Karen Buckley’s “Space, Social Relations, and Contestation: Transformative Peacebuilding and World Social Forum Climate Spaces” examines the extent to which the “climate spaces” at the 2013 and 2015 World Social Forums in Tunis were constitutive of a form of “transformative peacebuilding” aiming to transform social relations and eliminate the structural violence of the world capitalist economy. Dean Curran’s “Environmental Justice Meets Risk-Class: The Relational Distribution of Environmental Bads” argues that more analytical attention needs to be devoted to the diverse logics of distribution of environmental risks, untangling some key connections between environmental inequalities and injustice through a critical confrontation of environmental justice with “risk-class analysis”. Neil Gray’s “Beyond the Right to the City: Territorial Autogestion and the Take over the City Movement in 1970s Italy” explores the limits of the RttC thesis via its fraught entanglement with private property rights and the state-form, and through Lefebvre’s radical critique of the state, political economy, and rights elsewhere. Rights claims, Gray contends, unintentionally reify the uneven power relations they aim to overcome. Caitlin Henry’s “The Abstraction of Care: What Work Counts?” asserts that nurses are often undervalued and unacknowledged by health care administrators and, more generally, in health care policies and practices. Based on interviews with New York nurses and through pairing feminist political economy with literature on abstraction and the politics of the possible, the measurement of nurses’ work is shown to create a value hierarchy of tasks. Julia Laforge and Stéphane McLachlan’s “Environmentality on the Canadian Prairies: Settler-Farmer Subjectivities and Agri-Environmental Objects” analyses the state’s attempts to use of technologies of environmentality to influence “common sense” attitudes and behaviours – deterritorializing Indigenous communities, securing settler-farmer land access, and shaping subjectivities to convert soil, water and seeds into economic resources. Brett Matulis and Jessica Moyer’s “Hijacking the Narrative: The First World Forum on Natural Capital, #natcap13, and Radical Dissent” looks at the efforts of digital activists to challenge, through social media, the narrative of financialized environmental accounting as a solution to ecosystem degradation. Drawing on theories of counterpublic organization, public spheres of deliberation, and agonistic confrontation, their paper explores the discursive co-production of nature in a digitally- mediated world. Ashanté Reese’s “‘We will not perish; we’re going to keep flourishing’: Race, Food Access, and Geographies of Self-Reliance” take us to a community garden in Washington DC, arguing that it functions as a site for addressing several manifestations of structural violence (racist and classist depictions of low-income and working class people, joblessness, gentrification, and youth underdevelopment) and a mechanism through which residents navigate spatial inequalities. Finally, Kanchana Ruwanpura’s “Militarized Capitalism? The Apparel Industry’s Role in Scripting a Post-War National Identity in Sri Lanka” elucidates the role of the state-military-capital nexus in efforts to rebuild the nation following a longstanding ethnic war. Capital is shown to be imbricated in the government’s militarized nation-building efforts, shaping and re-producing Sri Lankan power relations. We follow these essays with a symposium, “The Occupation of Spaces for Radical Struggles in Italy”, organised by Pierpaolo Mudu (University of Washington Tacoma). This collection of papers, as Pierpaolo outlines in the Introduction, considers Italy as a “social laboratory” for radical theories and practices, exploring squatting and commoning struggles, past and present, as challenges to neoliberalism and revivals of fascism. 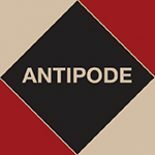 This entry was posted on 7 February 2018 by Antipode Editorial Office in News and tagged abstraction, care work, commoning, environmental justice, environmentality, food geographies, national identity, natural capital, occupation, risk-class, self-reliance, settler-farmer subjectivities, social centres, social media, squatting, Sri Lanka, the right to the city, the Take over the City Movement, transformative peacebuilding, urban horticulture, World Social Forum.